Heading west from Williams Lake, British Columbia, spectacular Highway 20 takes the adventurer across the ever-changing scenery of the Chilcotin Plateau. This plateau fills the space between the Coastal Range and the interior. The variation in topography is what makes up the exciting variety in the scenery. 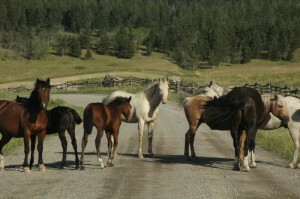 You may not realize it, but the largest ranch in North America was the Gang Ranch. 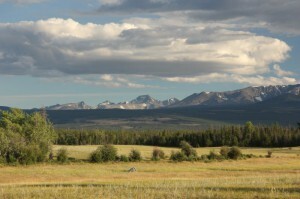 It had cowboys tending cows over 1,000, 000 acres of the plateau. 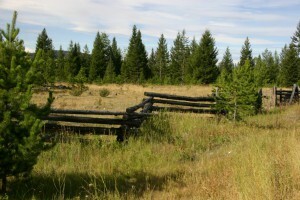 Several large ranches still operate in the area where seeing old fashioned log snake fences, and herds of cattle and horses will not be that unusual. The traveller will enjoy the rolling grassland scenery, interspersed by canyons and cliffs. 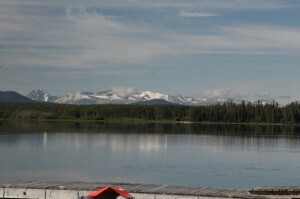 Lakes, streams, and rivers attract the fishermen, canoers, and those who like to sail. Distant whitecapped mountains draw the hikers, and also those who want to spend some time on a long trip into the wilderness on horseback. 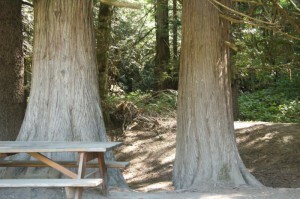 If you want to camp, you will find a large number of campgrounds. 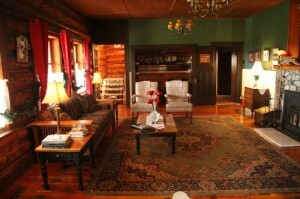 The resorts attract people who want comfortable accommodations in rustic areas with great views. Certainly the wilderness ambiance permeates the atmosphere of the entire trip across the plateau. Escott Bay Resort, and Chilcotin Lodge are two, among many, that fit the requirements of a great stay, and also have a few campsites. As you head west you pass into Tweedsmuir Provincial Park, and drop down a great hill into the Bella Coola valley, and a completely different type of scenery. 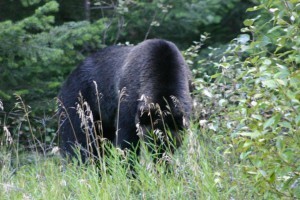 At Stuie, near the bottom, you will find the Tweedsmuir Park Lodge, famed for its grizzly bear viewing. And in winter, even more famous for its skiing. Williams Lake, drivers would board the ferry at Bella Coola, cross to Vancouver Island and make their way via another ferry to Vancouver. This circle drive is facing disaster! The BC government is cancelling the ferry, apparently with total disregard to the damage it will do to the tourist accommodations along the Chilcotin route. It’s difficult to imagine how a government could spend so much money promoting tourism and with a single act, destroy everything it had built. No matter what they do, they cannot destroy the experience of a visit to the Chilcotin, although they can make it a great deal more difficult.